Having a child is an overwhelming, rewarding, and life-changing experience which can be stressful and joyous at the same time. A part of watching your child grow is going through the ups and downs of different developmental stages, including experiencing their first teeth grow in. Your child’s baby teeth are extremely important in their overall health and development. The shape and structure of your baby’s teeth will determine how comfortably they will eat, speak and, of course, smile. Baby teeth grow in and act as placeholders for the permanent teeth which will eventually grow in as they age. When your baby’s teeth start to grow in, it can be a stressful and hectic time for both you and your baby. 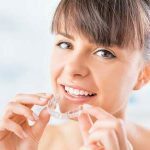 As your baby deals with teething and all the things that come with it, you will need to prepare yourself and monitor your baby’s tooth growth to watch for any abnormalities that may require orthodontic treatment, such as space maintainers or braces. You should also use this time to start a good oral health care routine to prepare your baby for the future. When your baby’s teeth start growing in, it is extremely important that you monitor their teeth and how things look generally in their mouth to make sure that they are growing in normally. If you notice that your baby’s teeth are growing in spaced-out or crooked, continue to monitor and check for any other abnormalities. Crooked baby teeth are common and are not always a cause for concern—if a baby’s teeth grow in crooked, it does not mean that their adult teeth will grow in crooked. Large gaps between baby teeth are a good thing as well because adult teeth that grow in can help fill in those spots. If your baby’s teeth are growing in crowded, it is possible that this is a sign that their permanent teeth may have crowding uses as well. Crowding might mean that your baby’s jaw is not big enough for adult teeth. You will not know for sure if your baby will have crowded teeth once the permanent ones fill in until it actually happens. If you notice that your baby’s teeth are overcrowded, be sure to maintain a healthy oral hygiene routine and clean your baby’s teeth regularly. This is because cavities are more prone to occur in crowded jaws. If your baby loses a tooth early, this means that the teeth may grow in shifting forward, which can potentially cause overcrowding when the permanent teeth grow in. If you notice that your toddler doesn’t have a full set of 20 baby teeth after his or her third birthday, you might want to take him or her in for an X-ray at the dentist. An X-ray can detect a missing tooth under the gums and show if a dentist needs to place a space maintainer in your baby’s mouth to keep the tooth from moving incorrectly. If your toddler’s teeth seem to be a little discolored, make sure that you maintain a good oral hygiene schedule. 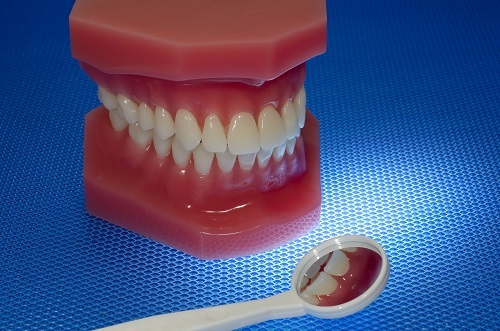 Tooth enamel on baby teeth is much thinner than adult tooth enamel, which makes it much easier and faster for plaque to build up on a baby’s teeth. Be sure to brush your baby’s teeth twice a day and minimize the amount of sugar they are consuming, which can cause cavities and decay. What Should I do if my Baby’s Teeth Start Growing in Crookedly? If your baby’s teeth start growing in crookedly, don’t panic. A baby’s jaw changes excessively in the early years of their life, and permanent teeth tend to grow in differently than the baby teeth. If you notice that your baby’s teeth are growing in crookedly, it’s best to consult with a dentist who can give you options and advice to help your baby’s teeth grow in the right direction. Keep in mind that most baby teeth don’t grow perfectly straight. This is normal and in more cases than not, the teeth straighten out on their own. If you are still worried, it never hurts to see a dentist. 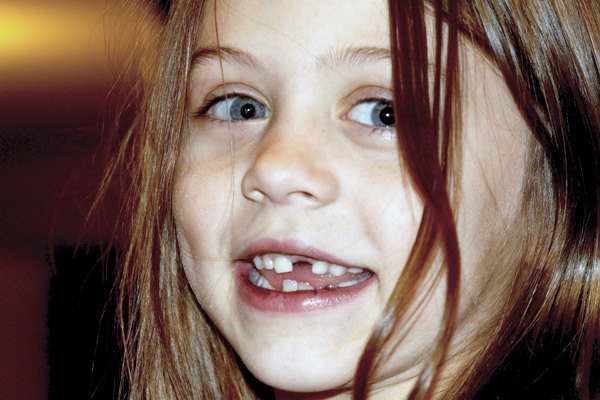 There are cases when crooked baby teeth can signal there may be problems in the future. It is extremely hard to know if crooked baby teeth will cause problems in the future unless you consult with a dentist. 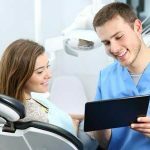 If a dentist does recommend some type of treatment for your baby’s teeth, you should consider it. Crooked teeth or alignment/jaw issues in your baby can cause problems in the future, resulting in issues with alignment of the teeth. These types of issues are much easier (and cheaper) to fix when your baby is a child. You should also monitor your child’s behavior and correct any patterns or problems you notice. Thumb sucking or tongue thrusting can cause jaw shape issues, resulting in an overbite or an underbite which can cause problems in the future. 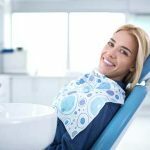 Crooked, gapped, or overcrowded teeth may be indicators of a problem in the future—while at the same time they may not be. You won’t really know until your baby’s permanent teeth fully grow in. This is why it is extremely important to maintain a good oral hygiene routine early on in your child’s life to ensure that his or her teeth and gums are healthy in the future. It is important to monitor your child and their behavior as well. 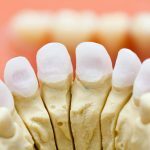 Some reasons that your child may have crooked teeth include genetics while others could be because of habits like thumb sucking and tongue thrusting. Start an oral hygiene routine with your baby early, even before their teeth start coming in, to prepare them and help them grow accustomed to the routine as a regular part of their daily life. Monitor how your baby’s teeth grow in and if need be, consult with a dentist in the event that you are worried how your baby’s teeth are coming in as they start to grow.